The ideal age to optimize the effects of our orthodontic treatments. Monitoring your child's early dental development. Welcome to My Family Orthodontst, located in Airdrie and Spruce Grove, Alberta, our orthodontist, Dr. Suzanne Cziraki, is a certified orthodontic specialist and her staff work hard to provide a positive office atmosphere and experience for patients. At My Family Orthodontist, Dr. Cziraki specializes in creating your perfect smile customizing your unique treatment using orthodontic devices like Invisalign, Braces, and Ceramic(Clear) Braces. 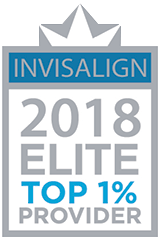 Dr. Cziraki is an Elite provider of Invisalign and Invisalign Teen. She also offers Hollywood style braces and has worked with Hollywood actors including Hugh Jackman (X-men), Barry Sonnenfeld, Director/Producer (Men in Black), Sasha Pieterse (Pretty Little Liars), Matt Prokop (Geek Charming), Patrick Metzger (Musician, Headwater Band), Jocelyn Pettit (Musician), Eygeniya Makkridi (Model/actor), Emma Hentschel (Actor- Building with Emma – Mega Bloks Barbie) and Gabriel Long (Stage Actor). Traditional metal braces take on a new level of sophistication with advances such as Inovation, by GAC, self-ligating braces. Dr. Cziraki also provides Neuromodulator treatments with Botox and Dysport for facial rejuvenation, wrinkle reduction, lip enhancement, gummy smile and crooked smile correction and facial pain such as TMD and migraines. If your looking for an extreme makeover involving facial surgery, Dr. Cziraki can help you achieve your goals to look younger and feel more confident with your smile and facial appearance. Contact our Airdrie orthodontic office or Spruce Grove office to set up an appointment with Dr. Cziraki. No Referral Needed. We accept dental insurance and offer affordable payment plans. Should you find yourself in Vancouver, we also have an office here: Vancouver Orthodontics.